I play free to play games. There’s lots of reasons why, but here are the important bits. First, and foremost, I’ve become a bit of a penny pincher in my middle age. Money doesn’t exactly flow freely and I find it hard to justify paying $60 for a video game. When you add the quality issue that a lot of video games seem to have on release lately (looking at you Watchdogs and Destiny), it just becomes foolish to buy most new titles. Don’t get me wrong. I’m happy to support a game when I have the money and the game is really worth it. This is why I’ve taken to Free to Play (F2P) games in the last year or two. I’m not saying I don’t play anything else, but when I’m looking for something new, that’s where I start. Because of this I’ve come to realize what makes a F2P game work. It comes down to playability, respect, and value. When it doesn’t work, the game is full of holes. It can be any mix of terrible controls, half-realized game mechanics, story, and bugs. In my experience, some of the really bad F2P games hide these shortcomings behind a pay wall where they only become evident once a player gets beyond that wall. For an example of this check out Regina and Rhonda’s review of Swordsman on GoG podcast episode 125 and Rhonda’s companion piece. When it works, the company offering the F2P title understands that they are releasing the game for free, and that it’s the customer’s right to decide whether or not to support the game by making in-game purchases. When it doesn’t work, the company offering the F2P title treats the customer as if they are thieves. Any game time or in-game perks are begrudgingly offered to the customer to entice them to play until they hit a pay wall where they will be forced to start shelling out cash if they want to continue playing. When it works, the in-game transactions being offered don’t give the player an unfair advantage over other players who have not made the same purchase. (Sometimes called “Pay 2 Win” or P2W.) The product being offered is fun or cool and doesn’t cost a silly amount of money for little effect. When it doesn’t work, the in-game product can severely unbalance the game in favor of those who chose to make the transaction (Pay 2 Win). Or the amount of money required to continue further into the game becomes unsustainable (at least for those of us who live within a budget). So who is doing it right? 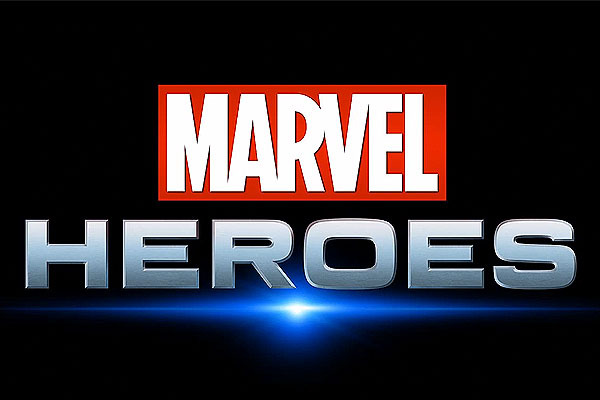 Path of Exile and Marvel Heroes 2015 really impress the hell out of me right now. Both games’ development teams continue to put out new content for their respective games. They are both games of good quality, and really enjoyable if you enjoy Action RPGs. Most importantly, and I can’t stress this enough, you never need spend a single dime on either game to play it. You get the total game for free in both cases. Yes, they have in-game stores in both cases, but if you never spend anything in them you won’t find yourself penalized. All of that being said, I have shelled out about $120 between these two games in the last year and a half or so because I think their respective products are great and deserve financial support. And who gets it wrong? Neverwinter Online is one culprit. I genuinely enjoyed this game very much when I started playing it. However, the longer I played it, the more I realized it would take forever to do anything or get to end game content because it all revolved around how much Zen (the currency you bought with real cash) you were willing to purchase and then spend and how many Astral Diamonds you could farm and refine in a day. It became clear to me quickly that I would never get very far very quickly if I wasn’t willing to spend a pile of cash. Another terrible offender is the F2P model for Star Wars: The Old Republic. Again I really liked this game to begin with when it was subscription based, but then it just got old. I decided to try the F2P model autumn of last year. Yeah, it’s F2P, but every little convenience cost you. Want to remove your helm appearance? That’ll cost you. Want access to the millions of credits you had before? That’ll cost you. In the end everyone needs to choose their own entertainment. However, if playing a F2P game makes you feel anything but enjoyment, you should probably consider moving on to another game. What F2P games do you love? Or hate? Tell us about your F2P experiences in the comments below. I've encountered plenty of great F2P games, one of the ones most noticeable is Team Fortress 2, downloadable on Steam. You don't have to pay to play, you pay for 'better' weapons and cosmetic items. The weapons offer disregardable bonuses , making it unnecessary to purchase anything. It's an online FPS multiplayer, with very few bugs as it's a quite popular game. I kind of missed the bus on TF2 as it came out when i was kind of on a FPS hiatus. I see it's in the top 10 played games on Steam all the time. Perhaps i should go and try it out sometime? Thanks for your time and comment Anonymous!